My coworker asked me to bring these shoes to work so she could see them in person since she was considering buying them. I don't think she really needed any convincing since she said "yep, I'm gonna get them". I don't blame her. I wore a very similar outfit back in May but with a different grey top and blue shoes. The red is much more festive for the holiday season. I don't like this photo but I'm including it so you can see the heel on the shoe. Someone said to me today that they liked my shoes but they could never walk in them. I told them that they are surprisingly sturdy. And they are. I still love this top. I'm surprised it hasn't been ruined yet due to cat claws or me catching it on things. Back in August I renewed my Duran Duran Fan Club membership. Today my swag arrived. Early Christmas present? Those shoes are incredibly gorgeous! I don't blame her for getting them either. I couldn't walk in them, not because of the heel height, but I can't feel the ground well enough through platforms. I've fallen over enough times to know well enough now. I'm glad I can still admire those amazing shoes on you though! OMG, I'm so glad you said that! I thought I was the only one who constantly fell off platform shoes! I like your festive look! 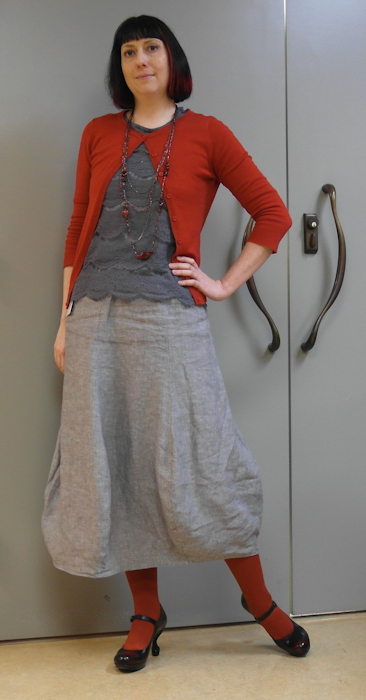 The red legs and cardi are just right. Oh, balloon skirt, you are buoyantly festive! 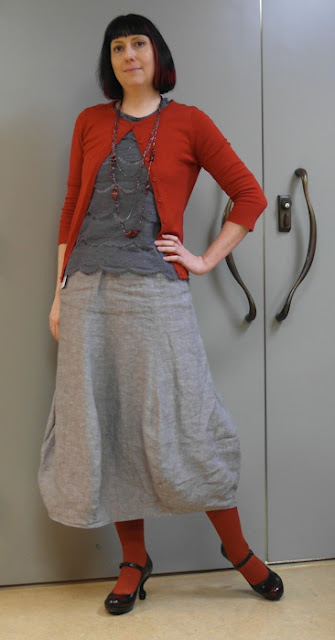 Megan, you look smashing in these greys and red, and the photo you don't like I think is willowy and lovely. 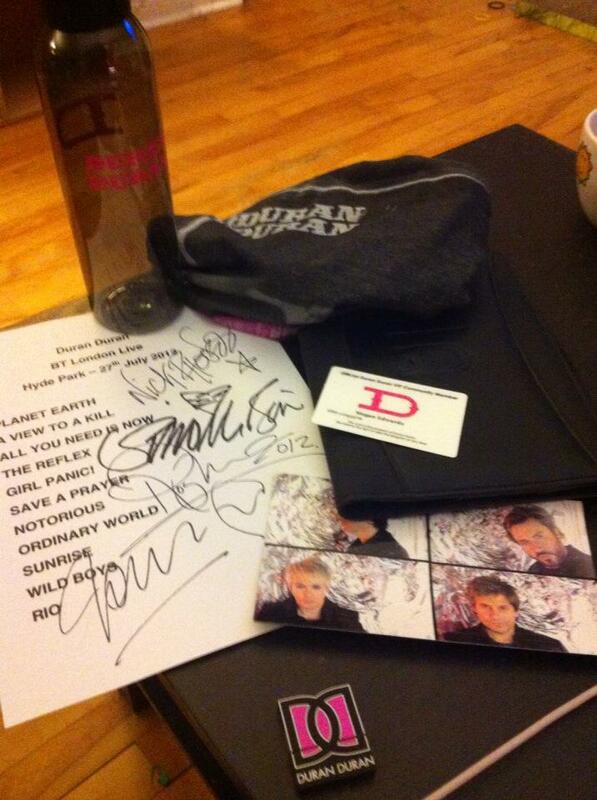 Enjoy your Duran Duran goodies, yay! That is one of my favorite tops of yours, it's so pretty and I love how it looks with the red too! And with the balloon skirt! Very festive!! Very cool look! I love the pops of red...hair, cardi, tights, necklace. Plays very nicely with the grey tones. That skirt is so fun! My first visit here, and to read that you are HSP and working in government, well big hugs to you. That can't be easy. Love the heels! We should start a link-up of "things my cat has ruined" : > Good thing they're cute. Thanks for linking up to Visible Monday. Love the outfit with the addition of red, you look great.